Amancio Williams was born in Buenos Aires. His father Alberto Williams was a well-known composer and the founder of the Buenos Aires Music Conservatory. Amancio enrolled at the School of Engineering of the University of Buenos Aires, though an interest in aviation led him to leave school during his third year. This sabbatical ended in 1938, when he enrolled at the same university's School of Architecture. After graduation in 1941 Williams created numerous prospective designs but unfortunately didn't find clients for all. The residence in Mar del Plata from 1942 represent a realization commissioned by his father. 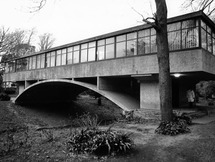 A concrete modernistic structure is set on an archway straddling the stream. Williams was presenting his ideas on acoustics at La Sorbonne. Walter Gropius organized exhibition of his unrealized works in 1951 and 1955 at the Harvard Graduate School of Design, on which latter occasion Williams was a guest lecturer. 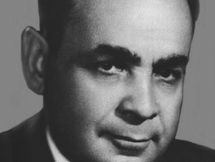 During the 1950s, he developed designs based on what he called hollow vaults. These were concrete pillars that, by their design, could drain rainwater while supporting the building above as stilts. 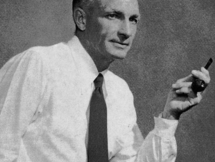 Williams was inducted into the American Institute of Architects as an honorary member in 1962. After 1974, he worked on "the city humanity needs," a plan for an above-ground metropolis supported by his hollow vaults for the purpose of reducing land use.